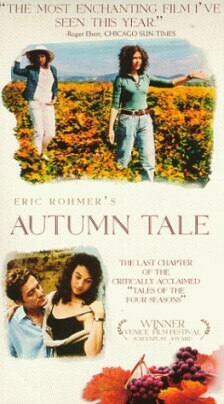 There are two perfect, transcendent moments in the Tale of Autumn, or Conte d'Automne, which is the fourth and perhaps the best of Eric Rohmer's magisterial series, “Tales of the Four Seasons.” The first of these is when we suddenly realize that the simple story of two women, married Isabelle (Marie Rivière) and her divorced friend Magali (Béatrice Romand), whom she is trying to fix up with a man, is far from being as simple as it has seemed hitherto. All right, it was a little weird that Isabelle placed a personal ad in Magali's name, since Magali herself absolutely refused, and that she then began a tentative romance with Gerald (Alain Libolt), whom she met through the ad, again in Magali's name. But we think we see where Rohmer is going with this. We can see Gerald becoming more and more interested in Isabelle and can imagine what will happen when she breaks the news to him that she is married and really has been wooing on behalf of her friend, whom he has never met. In this case we could probably figure out for ourselves the subtext of Rosine's solicitude for Magali, but the parallel example of Isabelle helps to make the film's point about the distance to be traveled between spring and autumn in a woman's life, between the cold, adventurous — even predatory — Rosine and the warm but lonely Magali, each of whom finds something to complete her in the other. This point is also nicely shaded by memories of a younger Miss Romand's memorable performances as a young (but early young and late young), unmarried girl in two of Rohmer's greatest films, Claire's Knee (1969) and Le Beau Mariage (1982). At this point we don't yet know the outcome of the potentially farcical situation that Rohmer has arranged for us. As it becomes apparent to us — Gerald is a hit and Étienne a flop — we find ourselves wishing more than either Isabelle or Rosine for Magali's happiness. But at the very moment when, surprisingly, her prospects seem brightest and even before we have time to worry about the complications that seem to threaten what would otherwise be a promising relationship, if we had experienced it as the characters do, the thing seems already futile. At some point in the hopeful future when they are on their second or third date, Gerald will reveal a love for smokestacks and Magali will reveal that she cannot love a man who loves smokestacks. Or not. Perhaps the story would be even better and more piquant in its melancholy if she were to swallow her own dislike of smokestacks for Gerald’s sake. But either way, Rohmer has already qualified for us in his inimitably Rohmerian way the hope that is so natural for beginning lovers and for lovers of romance — namely, that they represent a harmony of thought and feeling that bespeaks the melding of two souls. No, no. 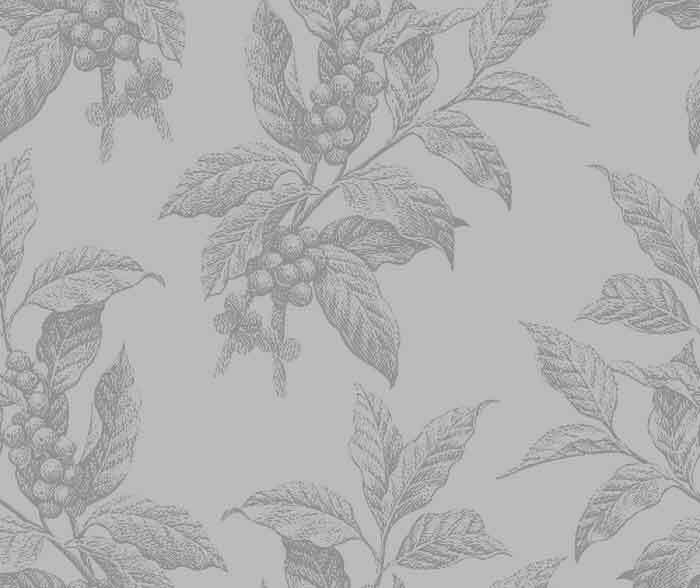 This is a tale of autumn, of middle age, when romance is still possible — maybe — but not that starry-eyed kind that we see in Isabelle's daughter, the bride, who can't stand Magali. Or not for more than a minute or two. To produce all this autumnal meditation, Rohmer gives us nothing more than this tiny hint of what the future is likely to hold. Otherwise, he asks us to be completely caught up in the tentative coming together of Gerald and Magali — and the poor lost souls that their hopeful match leaves behind. Isabelle, for one, but also Rosine (Alexia Portal), the would-be matchmaker, Etienne, her chosen match, and Leo, Rosine’s boyfriend and Magali’s son, who doesn’t know (or who really does know) that Rosine doesn’t care for him at all, but only goes out with him because she fell in love with his mother. The trail of heartbreak is there for all to see, but Rohmer makes it as easy for us to ignore as it is for the other incorrigible romantics whose lives he chronicles.